Poke-BODY: Primal Veil. 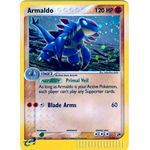 As long as Armaldo is your Active Pokemon, each player can't play any Supporter Cards. [F][F][C] Blade Arms: 60 damage. Poke-BODY: Poison Payback. 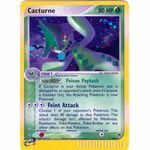 If Cacturne is your Active Pokemon and is damaged by an opponent's attack (even if Cacturne is Knocked Out), the Attacking Pokemon is now Poisoned. 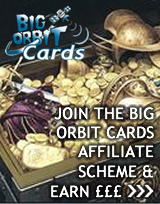 [C][C][C] Feint Attack. Choose 1 of your opponent's Pokemon. This attack does 40 damage to that Pokemon. 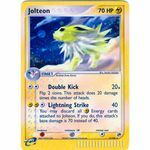 This attack's damage isn't affected by Weakness, Resistance, Poke-Powers, Poke-Bodies or any other effects on that Pokemon. Poke-BODY: Super Suction Cups. 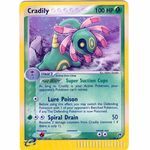 As long as Cradily is your Active Pokemon, your opponent's Pokemon can't retreat. [C] Lure Poison. Before using this effect, you may switch the Defending Pokemon with 1 of your opponent's Benched Pokemon, if any. The Defending Pokemon is now Poisoned. [G][C][C] Spiral Drain: 50 damage. Remove 2 damage counters from Cradily (remove 1 if there is only 1). [P][C] Judgement. Flip 2 coins. If both of them are heads, the Defending Pokemon is Knocked Out. [P][C][C] Random Curse. 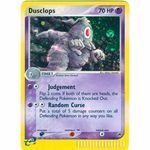 Put a total of 5 damage counters on all defending Pokemon in any way you like. [R][C] Super Singe: 20 damage. Flip a coin. If heads, the Defending Pokemon is now Burned. [R][C][C][C] Flamethrower: 70 damage. 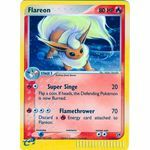 Discard a [R] Energy card attached to Flareon. [C][C] Double Kick: 20x damage. Flip 2 coins. This attack does 20 damage times the number of heads. [L][L][C] Lightning Strike: 40 damage. 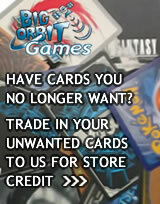 You may discard all [L] Energy cards attached to Jolteon. If you do, this attack's base damage is 70 instead of 40.